A revolutionary program for dairy farm managers. It links financial, feed and production management in a single package. Designed specifically for the dairy industry, it provides unparalleled management control. Why is Mistro Finance 5 revolutionary? The ability to import files from your internet banking program – import your bank transactions and cut down on data entry significantly. Create files to export to your internet banking program and pay your bills. Import your Murray Goulburn milk statements and trading store transactions – it’s a simple click of a button to get your MG details. All new modular budgeting program – step by step process to make preparing a budget easier than ever. Audio visual program tutorials to help you learn how to use the program. 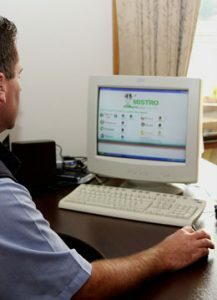 Mistro Finance tracks share farming arrangements to enable reconciliation of accounts each month. In fact it handles multiple farms. A Pentium computer, 128 megabytes of RAM, 50 megabytes free space, 1024×768 screen resolution.